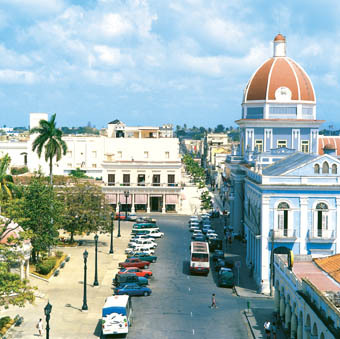 The city of Cienfuegos is located on the south central region of the Island and was founded and named after French settlers who came from Burdeos, Philadelphia and Louisiana. 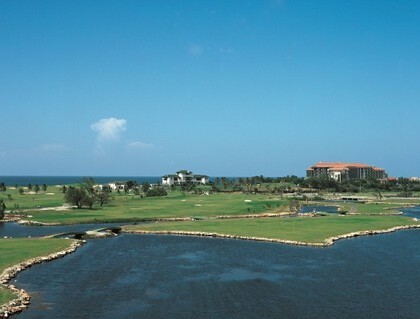 The colony of La Fernandina de Jagua was founded in 1819 and became a Villa in 1829 and a City in 1880. 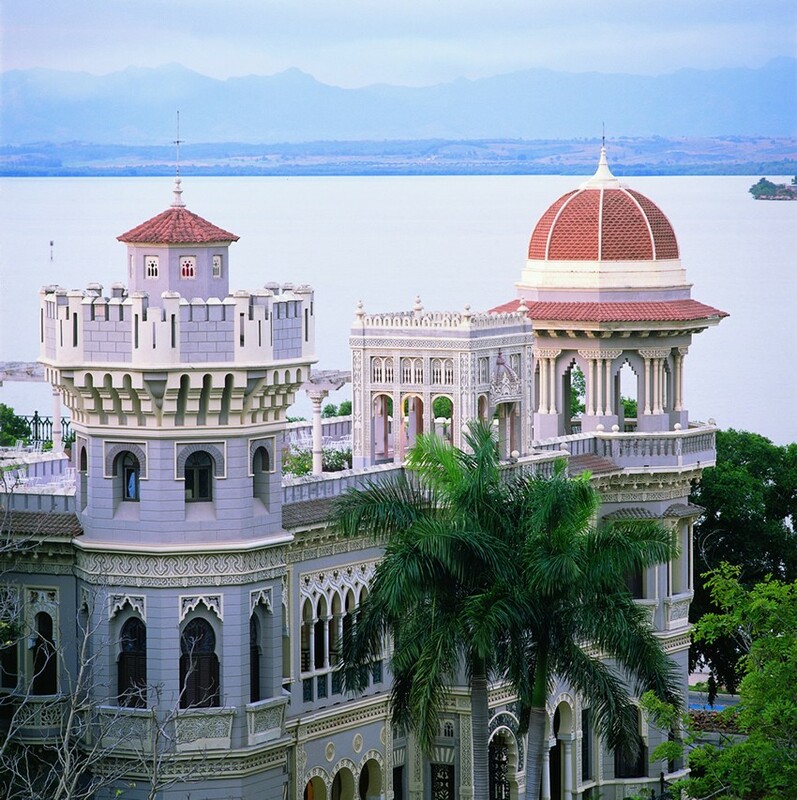 Cienfuegos is widely known as the Pearl of the South or the beautiful city of the sea; and even one its most famous singers, the greatest sonero Benny Moré, used to proudly call it “the city that I like the most”. 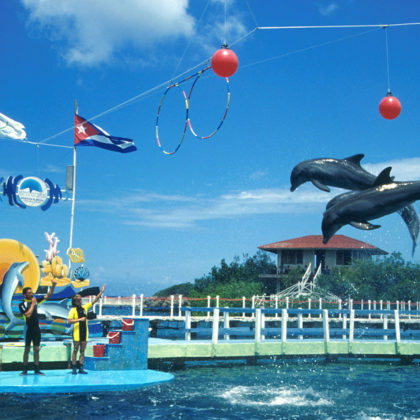 The city of Cienfuegos was finally settled on the shores of the peaceful Bay of Jagua and appeals to visitors due to perfect straightness of the streets and the historical, cultural and architectural values that can be seen in its city center, recently declared National Heritage. 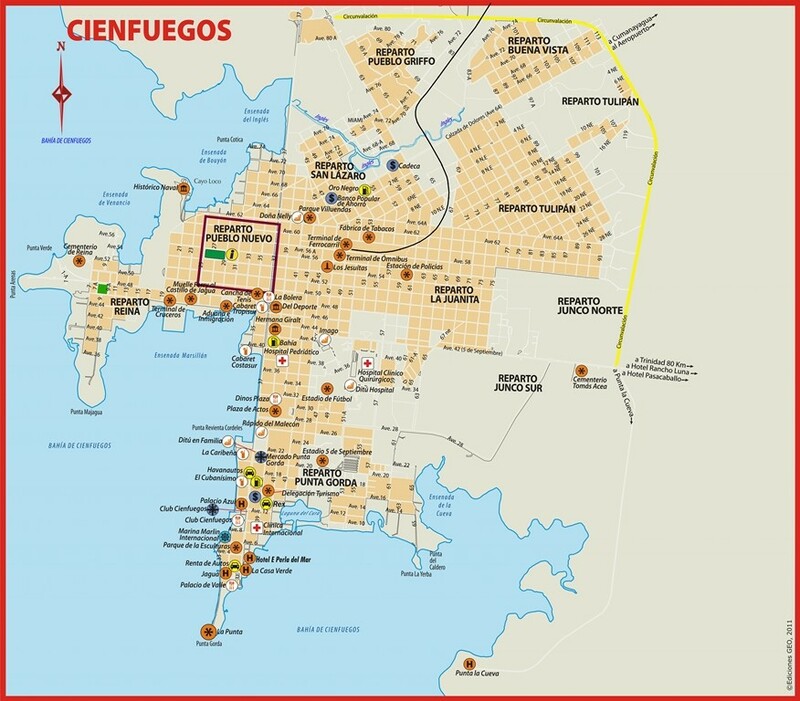 Cienfuegos has the longest Paseo del Prado (Prado Promenade) of the country, which goes from the entrance of the city to the Malecón (Waterfront), allowing a quick and easy access to Punta Gorda and La Punta, a lively residential area of the south side where you will also be able to see the flagship building of Cienfuegos: Palacio del Valle, a luxurious mansion, where the prevailing construction tendencies are Mudejar and Gothic together with Byzantine, Venetian and Baroque. Beaches washed by the Caribbean Sea in Cienfuegos, like Rancho Luna and El Inglés are ideal places for Scuba Diving especially in the entrance to the Bay of Jagua and Boca Ambuila, where you can find the Notre Dame Column Coral (6 meters high and named so because of its extraordinary structural similarity to the famous Cathedral of Paris), and more than 50 other diving sites for snorkelling even sunken ships. 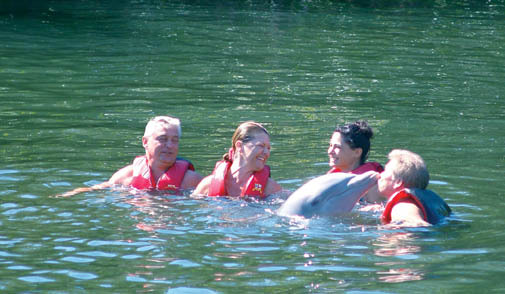 Rancho Luna Beach is located around 20 minutes drive from Cienfuegos city. It has soft sand and the beach is bathed by peaceful and warm waters. There are different diving areas nearby. Its coastal platform is particularly rough and inhabited by a rich marine life; its shallow waters hide beautiful corals that form low and medium depth reefs in the Barreras Cove and in Las Playitas; abrupt underwater geography and abundant sponges, gorgonians and corals are located much deeper and are particularly enticing. 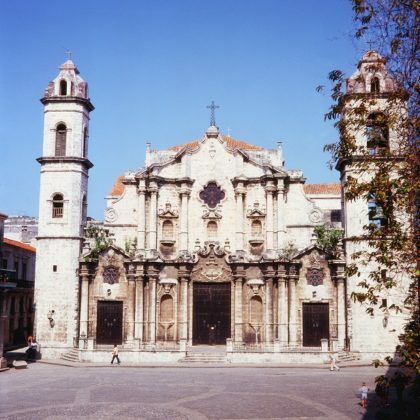 On the eastern side of it is the impressive Catedral de la Purisima Concepcion, which was built in 1870. Also overlooking the park is the Provincial Government Palace, a grand building with great columns and marble floors. Due west of the park stands the Casa de la Cultura. Situated on the north side of the Parque Jose Marti, is a beautiful and impressive structure whose facade is topped by three multi-coloured mosaic murals. On the Punta Gorda, this Moorish style country house was bought by Alejandro Suero Balbin. Its fading pink colours fail to diminish the overall grandeur of the building which contains some excellent furnishings and porcelains. Perhaps the most famed botanical garden in the country, housing over 2,000 tropical and sub-tropical plants. 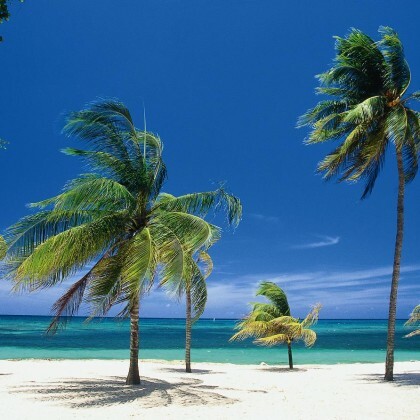 Among the impressive collection of plant species are more than 200 types of palm trees of araceae, there is also a collection of different types of palm trees indigenous to Cuba.